WiseSoil Feedstock Pretreatment Module (FPM) is a solution for increasing efficiency of biogas plants. Module is based on a proprietary technology, and can be installed as add-on before any digester. Anaerobic Digestion technology can be compared to digestive system, where FPM acts as teeth, chewing the food before it gets to the stomach. Module is compatible with any digester system with substrates up to 13% solids content, and starts from only € 10 000! WiseSoil technology integrates five pre-treatment functions in a high-efficient, compact pre-treatment module that carries out 5 pre-treatment functions on feedstock and can be attached easily to biogas digester feed lines. Module disperses feedstock into small-size fractions by hydrodynamic treatment and cavitation, saturares it with microbubbles, and preheats the substrate. The combination of all these processes makes feedstock highly reactive and most favorable for the reactor microflora environment, allowing for fast & full digestion that maximizes biogas yield. WiseSoil technology competitive advantage lies in a synergy of pretreatment processes. And as a result, it simultaneously accelerates substrate digestion & increases biogas yield. 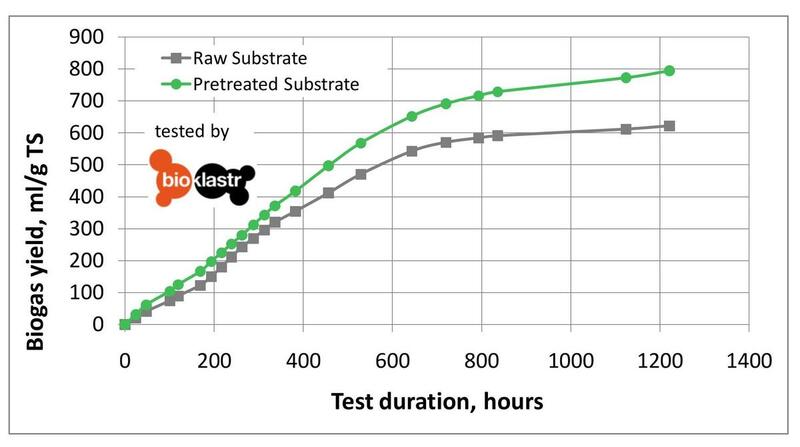 Pretreatment effect was verified for a various types of feedstock during a number laboratory tests, including tests by Bioklastr laboratory (Czech repubic), our own lab-scale biogas plant, and during pilots and installations, that are being launched on biogas plants since 2014. Some examples of the biogas production before and after processing by the pretreatment module can be found below. Biogas production for the mixed straw - maize - manure substrate, as well as straw substrate, before and after treatment, was performed by Bioklastr Z.S. laboratory. Biogas yield improvement for these samples reached 20-23%. Full report is available on request. 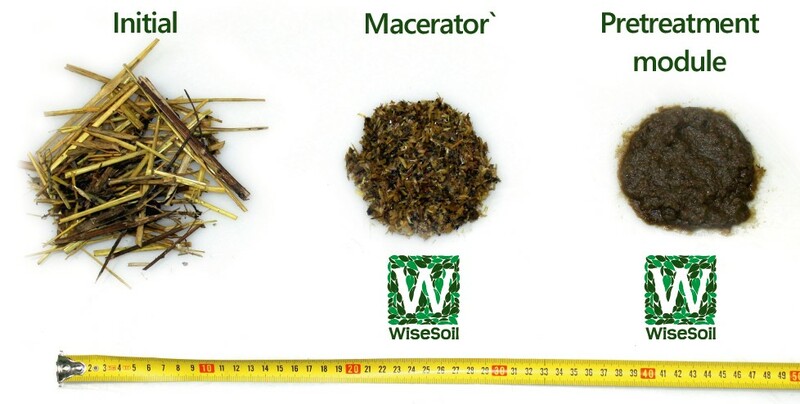 Moreover, WiseSoil technology turns hard-to-process lygnocellylosic substrates (i.e., manure with fibrous inclusions, straw, etc.) into an available and valuable resource for biogas plant. 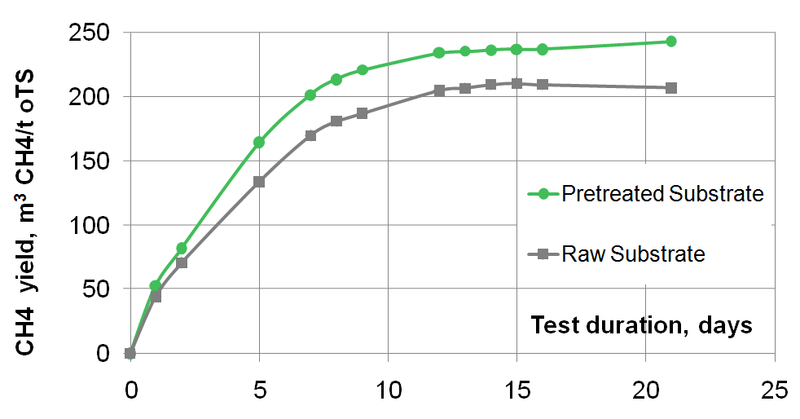 Comparison of biogas yield for straw before and after pretreatment. Full report is available on request. significantly improve plant economic efficiency. 15th October - 1st December 2016, Biogas plant Boretice, Czech republic. 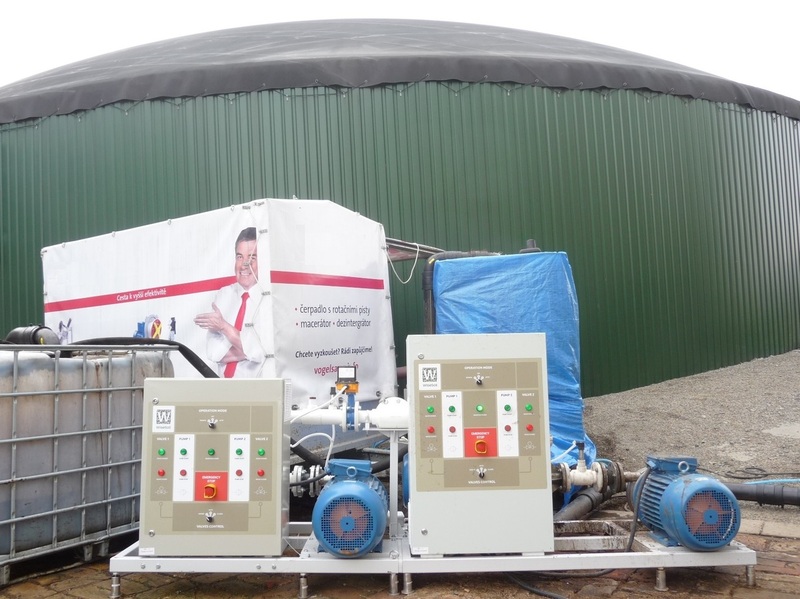 WiseSoil module was installed between 1st and 2nd digesters of biogas plant. Feedstock consisting of mix of corn silage with manure with total solids content up to 12% was processed. As a result, methane yield was improved by up to 17%.